John Philip Sousa, “John Philip Sousa,” Histories of the National Mall, accessed April 23, 2019, http://mallhistory.org/items/show/142. John Philip Sousa was an American composer and conductor, best known for his military marches, which school, professional, and military bands still play today. He served as Director of the United States Marine Band, based in Washington, DC, from 1880-1892. In 1883, Sousa directed the band in front of the Smithsonian Castle for the dedication of the statue of Joseph Henry. Sousa wrote the military march "The Transit of Venus March," for the occasion at the request of the Smithsonian Institution. The music played while dignitaries walked to a special receiving stand in front of the Castle. John Philip Sousa was born in Washington, DC, where his father was a musician with the United States Marine Band. At the age of 7, he enrolled in a music conservatory. He joined the Marine Corps as an apprentice at 13 to serve in the band alongside his father. By the time he was 20 years old, he had already published compositions, including his first march. Sousa left the band in 1874 to work as an independent musician. He worked as a violinist, composer, and conductor, often working on theatrical productions. In 1880, the Marine Corps invited him to become the Director of the United States Marine Band. Under his leadership, the quality of musicians improved and the style of music the band played changed. Sousa introduced popular tunes in addition to his own compositions. The band become extremely popular in its hometown, Washington, DC. When the statue of Joseph Henry, which is located in front of the Smithsonian Institution Building, was dedicated in 1883, the band played "The Transit of Venus March," composed for the occasion by Sousa. The Washington Post commissioned a march of its own in 1889. 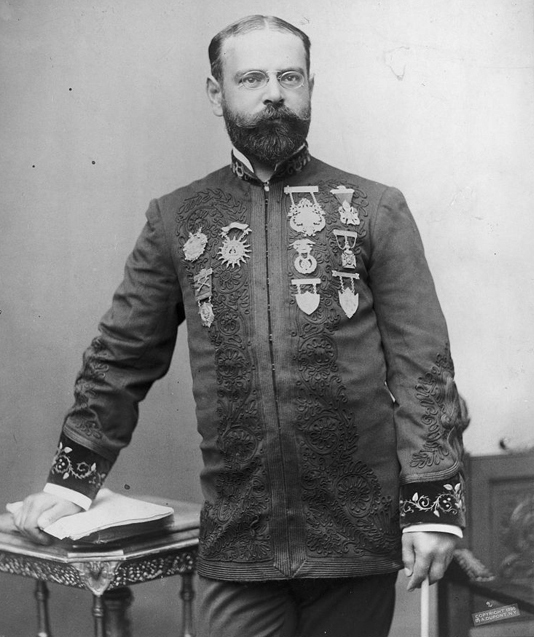 Sousa resigned as Director in 1892 to form his own concert band. The Sousa band toured the United States for forty years, and visited Europe in 1900. Throughout its existence, the band played Sousa's marches but also popular songs and dances, opera, and patriotic songs. Sousa briefly left the band during World War I to serve as a Lieutenant in the Naval Reserves, training naval bandsmen. He died in Pennsylvania in 1932, where he had been engaged as a guest conductor.